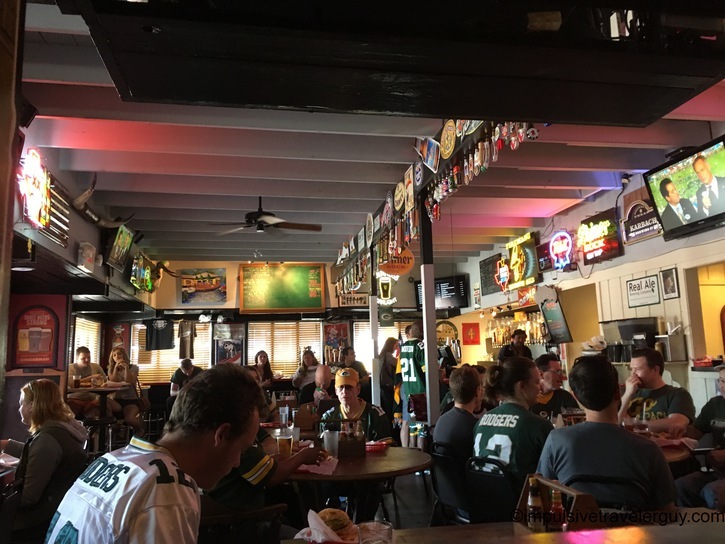 In Wisconsin, every bar is a Packer bar. The Packers are like a religion up there. That’s why there are a ton of Packer parties and random times of dropping in by Lambeau Field. In Texas, it’s obviously Cowboys’ country. 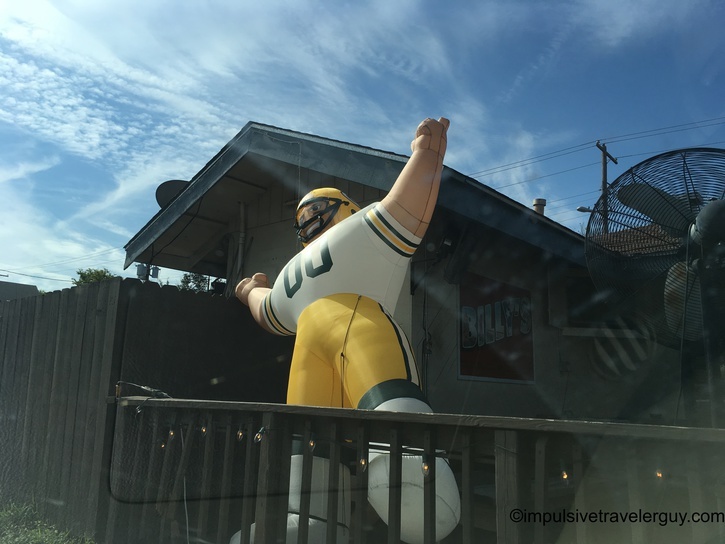 When my parents came to visit for Christmas 2014, there was a Packer game that was playing during that time. 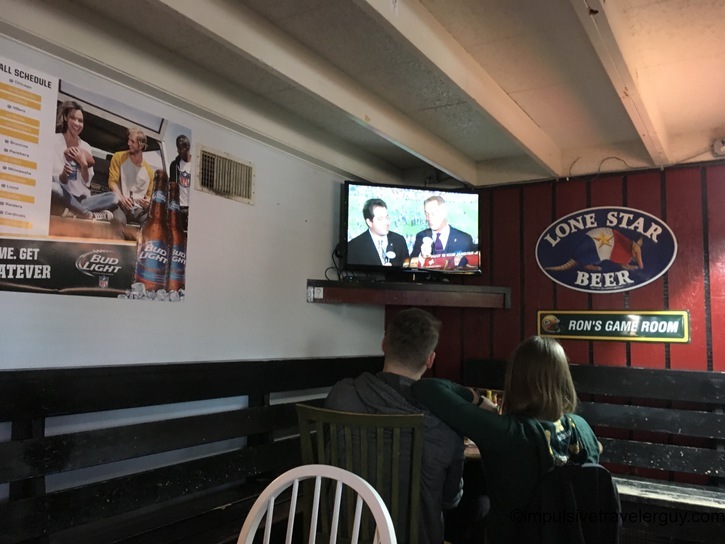 Since I didn’t have cable, we had to find a bar to watch it at. 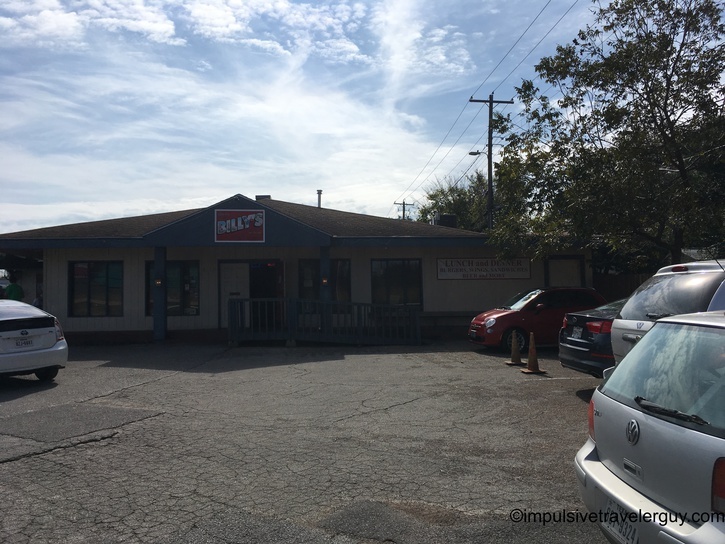 After doing some research online, we found Billy’s on Burnet was a Packer’s bar. 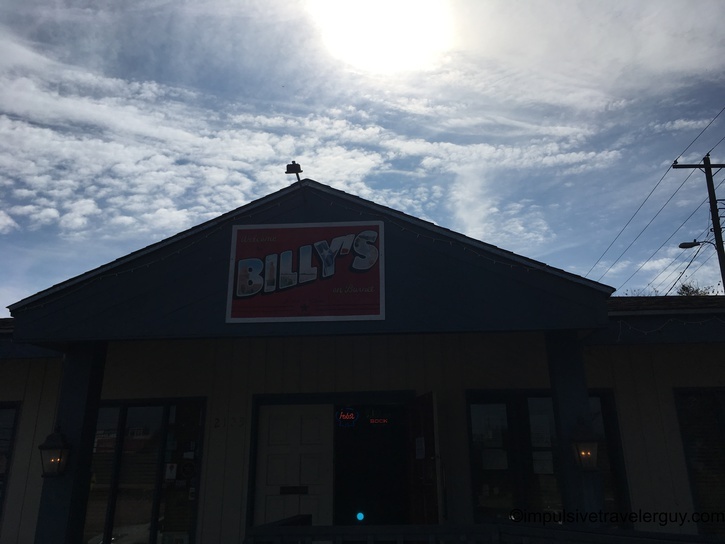 After cleaning up from my parking lot oil change, Victoria and I got ready to go to Billy’s for the noon game against the Tennessee Titans. We pulled into the parking lot thinking there was a space next to the big Packer, but there wasn’t. 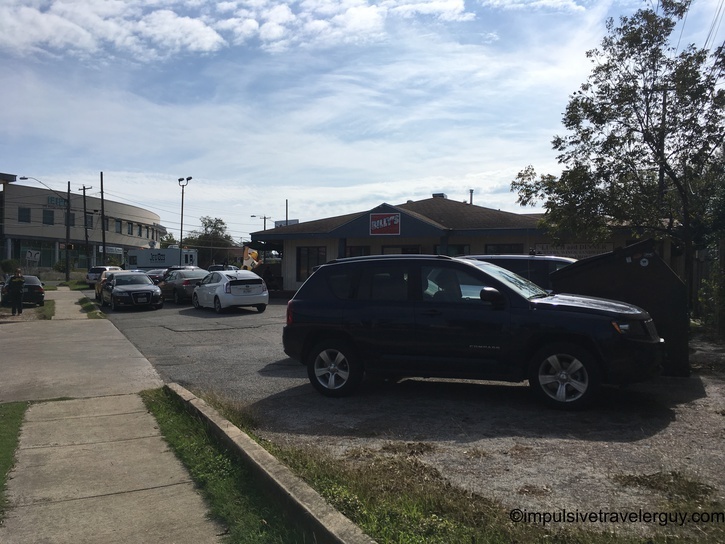 We had to park down the street a bit and then walk. 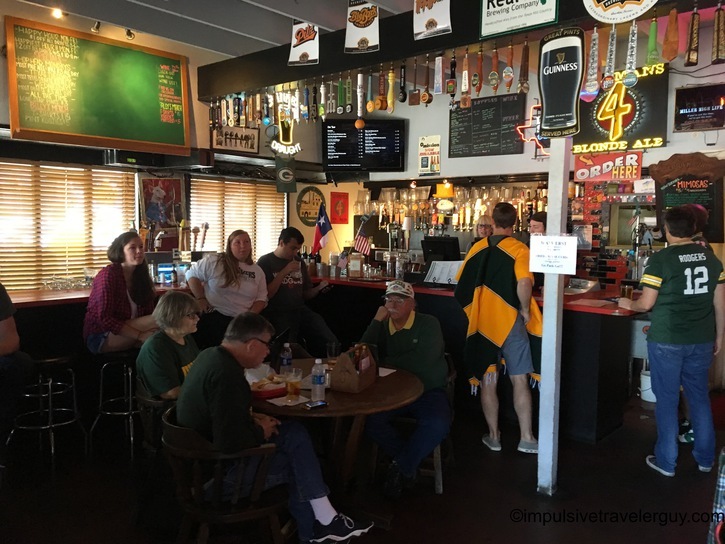 The bar is always full with Packer fans, but luckily we were able to find a spot inside instead of out on the deck next to the big Packer. 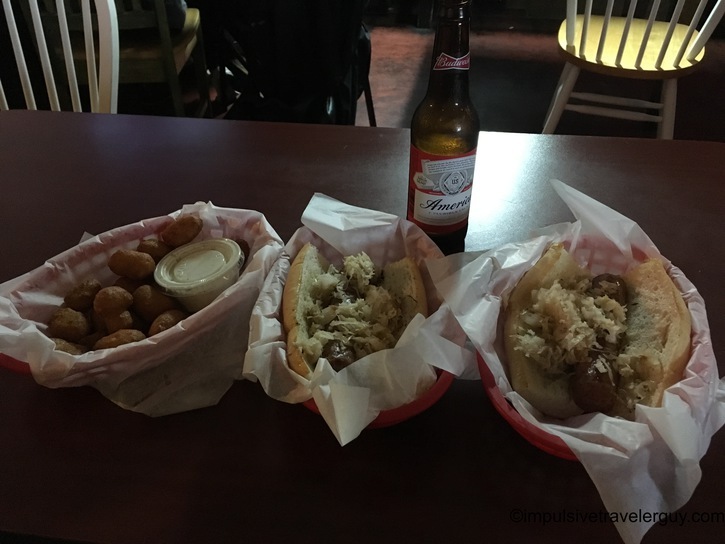 They serve the Wisconsin staples of brats and cheese curds. I got 2 brats and some cheese curds. 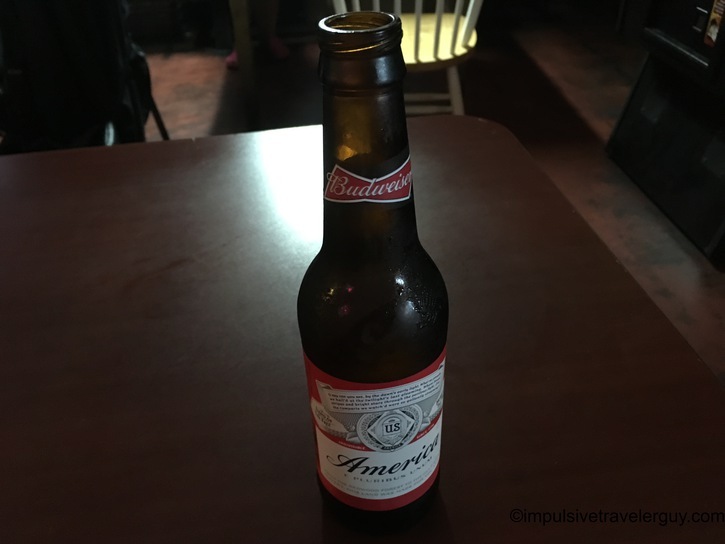 I washed it down with a few beers. In this game, there was not much to cheer about. The Packers played like absolute crap. I’m really hoping they get their act together, but I’ll be with them through thick and thin. 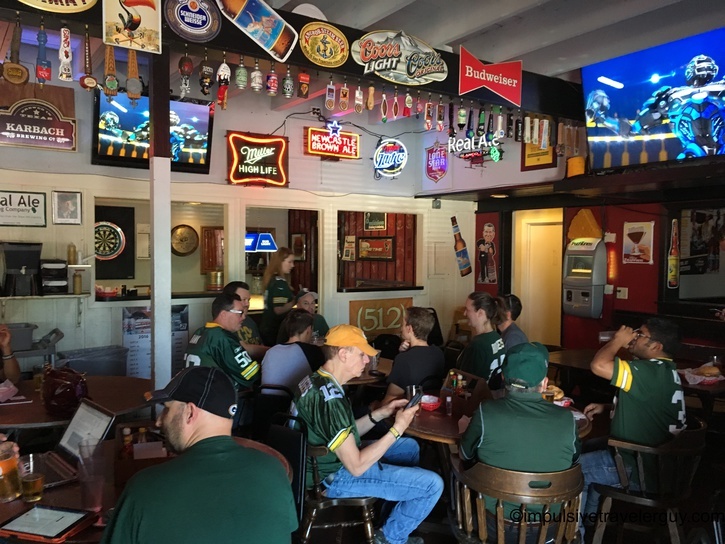 At least there is a place of refuge in Cowboys’ country, where I can go cheer on the Pack with my fellow cheeseheads. 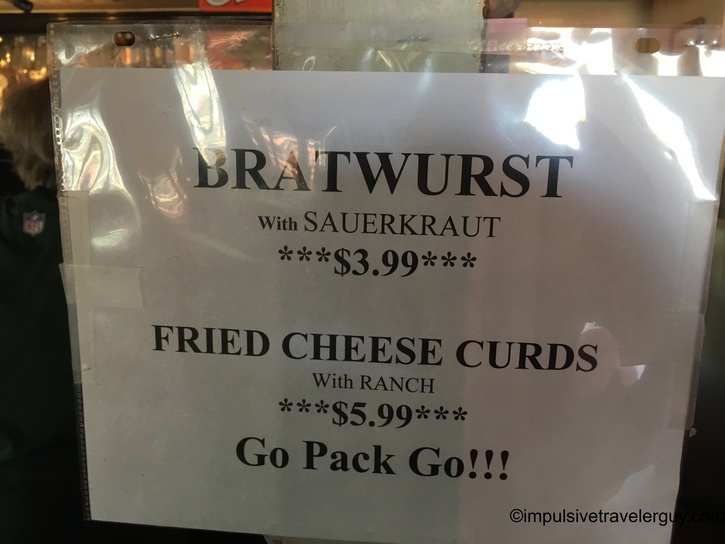 I’ll definitely have to go to a few more games here and, if worse comes to worst, at least they have beer, brats, and cheese curds!